The first truly difficult dessert I ever attempted was with her. We literally spent 8-hours on a Triple Chocolate & Hazelnut Praline Tart and got so impatient that we undercooked the pastry! This is a tart that I can now make with my eyes closed and actually made it for Christmas last year not only for myself but for a few happy customers & their Chrissy feasts. It’s impossible to forget her infamous sloppy joes or that coleslaw fight in the kitchen, her insatious doughnut cravings while pregnant, the seafood feasts at Omeros Brothers and that poached pear or the hilarious moment of Z’s first lick of a lemon. The first time I ever attempted to make French macarons, well before they became a world-wide trend, was for her baby shower. We put together a party bag that was based on the five senses. There was a pink macaron, a fresh flower, a photo of Tully & each guest, a mixtape of female musicians and a handmade felt heart cushion; all put together in a handmade noodlebox screen-printed with baby tootsies! We made and sold cupcakes at a cool kids fun day at Kirra Hill Community Center and dreamed of selling sweets under the name Sugar for my Honey. I still dream of using that name for something! 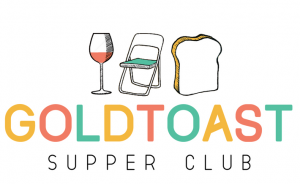 We put together a summer themed birthday feast that had a definite influence on Goldtoast. Salmon & Pea tarts, Rostis with smoked salmon, New York Cheesecake with Raspberries, Triple Topped foccacia and assorted Fruity Bellinis were all on the menu and still things I make today! This was also the day I learnt the importance of battery operated tealight candles, after we set many paper bags on fire! While I was working as With A Cherry On Top, her little girl turned three. And oh man did we throw a mean fairy birthday party. When asked what flavour cake she wanted, little monster replied “PINK”! There were marshmallow mushrooms, fairy wands, bunny cookies, lollipop flowers pots and a little house in the woods that was in fact flavoured pink. Next Post farewell 2015, welcome 2016!